A female tourist was killed and another woman was injured after they were mauled by tigers while on a safari tour at the Badaling Wildlife Park in Beijing on Saturday afternoon. 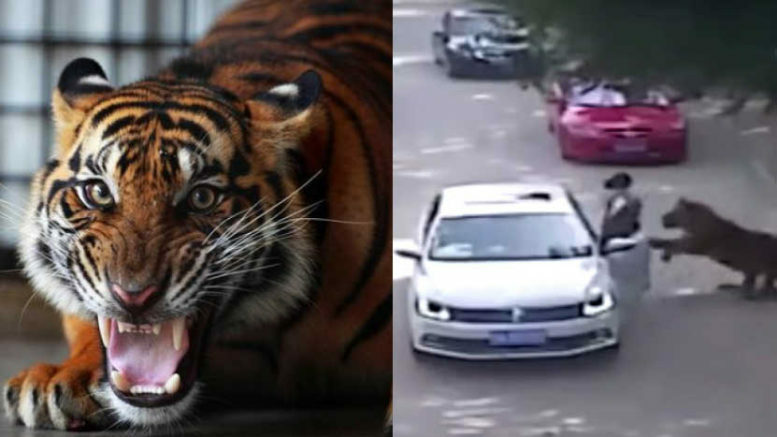 CCTV footage of the attack showed a tiger approached the woman shortly after she left the car.The video shot at around 3:00 PM local time showed her walking to the driver’s side door and opening it, before being attacked and dragged away by a tiger. The second woman was killed when she jumped out to try to help and was herself mauled by another tiger. Reports said an argument had led to the first woman leaving the car. Video footage of the incident indicates that park rangers in a vehicle were on the scene within seconds, but they were unable to save one of the women. The park, which is now closed to the public as investigations continue, allows wild animals to roam freely. Visitors are permitted to drive their own cars, safari style, through an open space where the animals roam. They are, however, cautioned not to leave their vehicles or roll down the windows. The Badaling Wildlife World, located at the foot of the Badaling section of the Great Wall, is one of the largest zoos of its kind in China.